Lizzie is a welsh wildlife biologist, broadcaster, filmmaker and conservationist. 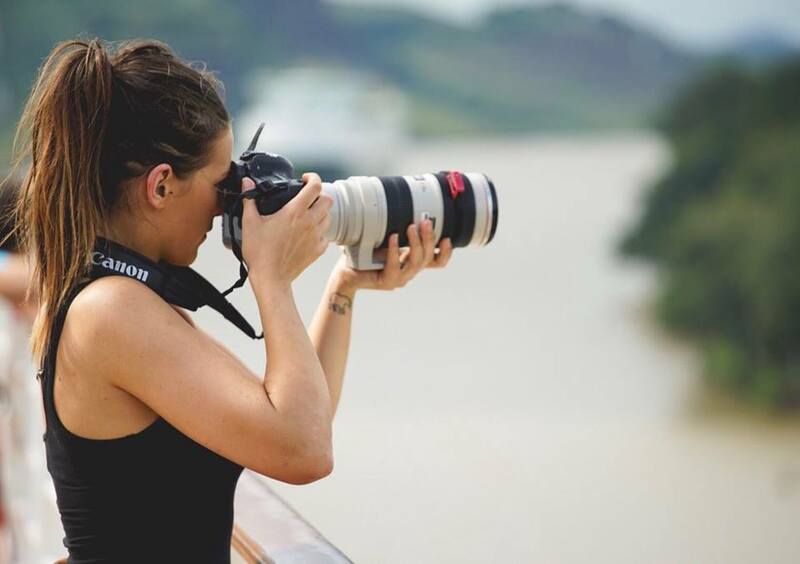 A healthy curiosity for the natural world has lead her to conduct research and make wildlife films all over the world. Over the last few years her passion and expertise has taken her to work and travel to Australia, New Zealand, Kenya, Panama and extensively across the UK and Europe. She has also worked in Chile, Peru, Patagonia, South Africa and in Sweden to film and conserve a range of species. Lizzie has worked as a presenter on Cbeebies, CBBC, National Geographic, BBC Two, Animal Planet and is now a host on the BBC Earth Unplugged YouTube channel. In 2018 Lizzie hosted the renowned Panda awards at WildScreen. In addition to broadcasting work Lizzie continues to push her own wildlife films on her YouTube channel @LizzieDalyWildlifeTV. As a scientist and broadcaster Lizzie is heavily involved in giving her own wildlife talks and live shows. In 2016 Lizzie graduated from University of Exeter with a BSc in Animal Behaviour and went straight onto Bristol University to study a MSc in Biological Sciences studying electroreception in arthropods. Lizzie is also very proud to be an academic teaching and outreach fellow at Swansea University and aims to continue to push boundaries when building the bridge between scientific understanding and reaching wider audiences. With a life long passion to conserve elephants Lizzie has always had a research interest in elephant behaviour in order to better understand elephant movements across a changing landscape. She is beginning her PhD research in elephant to human conflict in Kenya in 2019. Lizzie is a conservationist with a fierce passion to care for our oceans and protect our wild spaces. She is an ambassador for the Marine Conservation Society, the Jane Goodall Institute UK and an ambassador for Norwich Science Festival.